The 26-year-old rapper from Tallahassee, Florida - whose real name is Faheem Rasheed Najm - tries not to worry about the forthcoming success of his fourth album, rEVOLVEr, after his second album Epiphany went to the top of the US album chart in 2007. "I'm just waiting to see what happens. I just roll with the punches, as it's out of my hands now," he said. "It takes all the pressure off! I wasn't like that to start off with, but it's come with time." The album, which is out now, features collaborations with Chris Brown, Wiz Khalifa, Ne-Yo and R Kelly among others. "I was rehearsing, and Chris was too, and we bumped into each other in the corridor. He said he'd come in and do something, so I said, 'That'd be great'. I'm not going to argue with that," he recalled. "Wiz Khalifa is on there too, and we've been friends for some time. I've followed him for some time, since he was underground, and it's great to see him doing so well now. We've got Pitbull on there, Ne-Yo, R Kelly, lots of people." 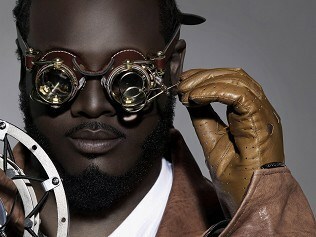 But T-Pain admitted he doesn't pursue stars to work with. "I'm just doing what I'm doing, and if anything comes up, then that's fine, but I'm not seeking them out," he said.